The day designated to celebrating love has arrived! I mean obvi. that should be a daily thing, but undeniably some of us forget sometimes. No worries! Today is the day the whole world reminds us to show the ones we care about, well, that we care. So go ahead and give your lover…or your mother another hug! And to you lovely readers, know that I care. There’s a few of you who have stuck around even when I’m not blogging regularly and for that I am forever grateful. To the new readers or curious nomads who happen to land, know that I appreciate you no less. I hope you like what you see and decide to come back. Just showing my love. 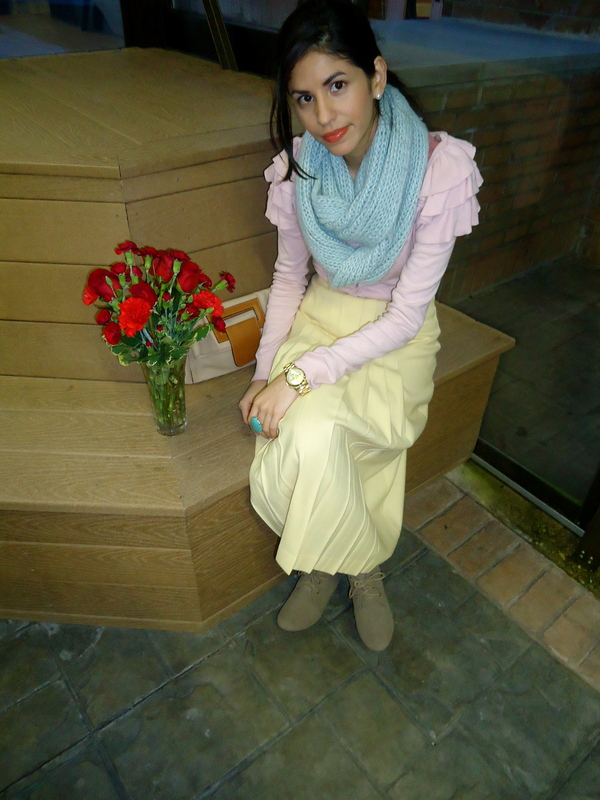 If you’re still trying to figure out a fantastic outfit for tonight, why not give pastel color-blocking a try before it becomes the trendy thing to do? We all know pastels will be on fire this summer, as Mr. Jacobs along with other designers were kind enough to point out. So why not be one of the firsts? Some of you may fear resembling a macaroon or worst, a cupcake, but I can assure you that you will look absolutely delicious (and stunning) to your man (have you ever seen a man turn down a cupcake?). 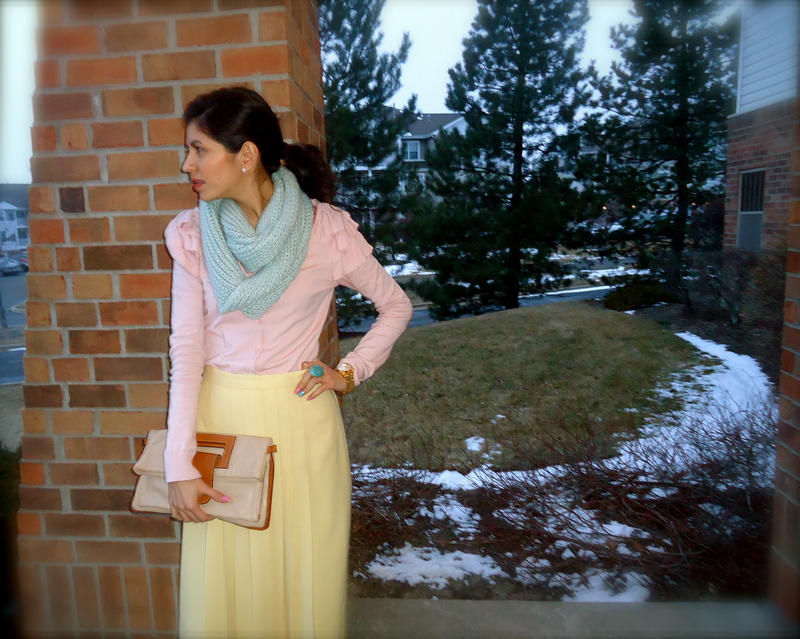 Also note that pastels will make you look delicate, sweet, and very feminine-perfect for the big date! Many of you know I have been long obsessed with this combo so showing my love for these colors on Valentine’s day seemed like the natural thing to do. Previous Weekend Casual Classied Up!